Your baby is the size of a blueberry! 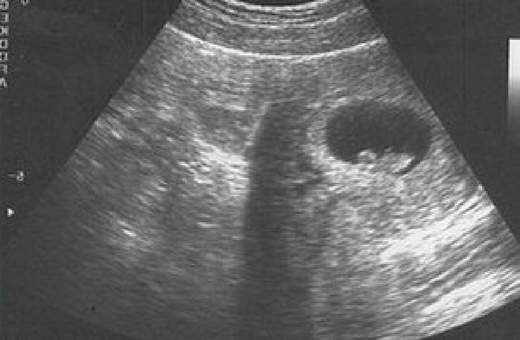 How Big is Baby at 7 Weeks? How Many Months is 7 Weeks? 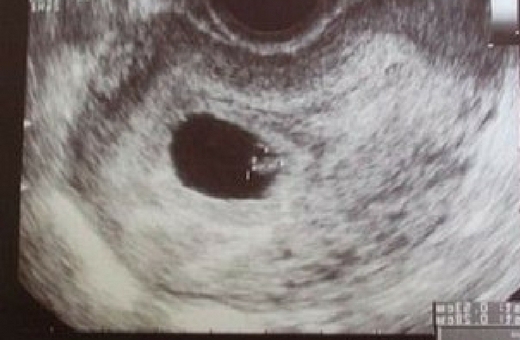 Welcome to week 7: the week of one (of many) enormous growth spurts for your baby. You might be experiencing some different symptoms this week, as well: with excessive saliva, cramping, and weird food cravings all topping the list. From crown-to-rump, your baby is 0.16 to 0.2 inch (4 to 5 mm) at the start of this week. 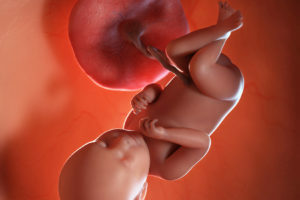 But, by the end of the week, your baby will have doubled in size to about 1/2 inch (1.1 to 1.3 cm). 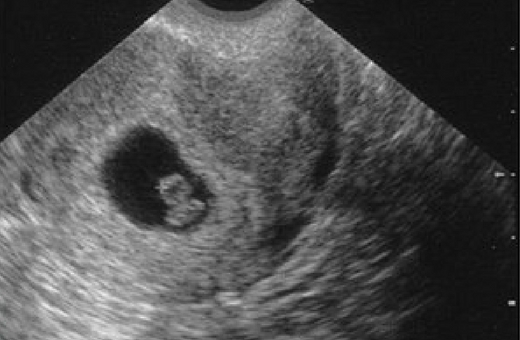 Coming in at about the size of a small blueberry, your tiny little tadpole-like form is now taking incredible shape. 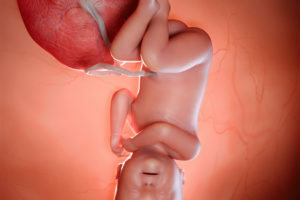 Your baby’s arm and leg buds have grown longer, and a tiny heart is bulging from the body. By now, the heart has divided into right and left heart chambers and has consistently been beating for a while. You’ve probably noticed that you feel different than you did before you were pregnant. Your emotions are probably more sensitive, you have crazy symptoms going on in your body, and you’re so tired that you can’t take one more step. It’s all part of the territory, but you’ve got this, new mama! Mood Swings – With so much happening in your life and your body it’s only natural to have an array of emotions swirling around 24/7. Mood swings are a normal part of pregnancy, especially between weeks 6 and 10 then again the third trimester. Your pregnancy mood can be the product of fatigue, physical stresses, changes in your metabolism, and of course by the pregnancy hormones estrogen and progesterone. The best approach to handling the mood roller coaster is simply to acknowledge the emotion as you feel it and have a strong supportive group of family and friends surrounding you to keep you anchored. Calcium Intake – Calcium is incredibly beneficial as it prevents high blood pressure, lowers your risk of preeclampsia, keeps your bones healthy, and helps your baby to grow healthy bones and teeth. Dairy products can be an essential part of your pregnancy diet, too. They help supply your body with the calcium it needs. You need about 1200 mg of calcium a day, but your body can only intake 500 mg at a time. Some great choices of calcium-rich foods include milk cheese, yogurt, and ice cream. There are many lactose-free products available, as well. Some other foods containing calcium are broccoli, spinach, almonds, salmon, and even some fortified products like bread and cereal. Extra Saliva – If you’ve noticed that you have turned more into a drooling baby than your tiny baby will soon be then welcome to the week seven club! 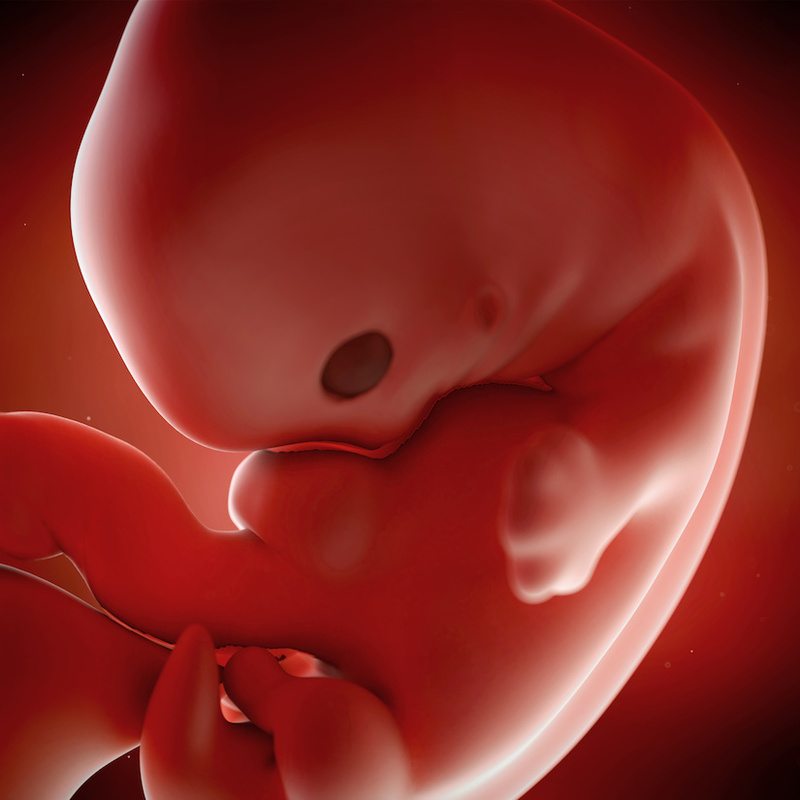 Experiencing excessive saliva is perfectly normal during the first trimester. The official terminology for this phenomenon is ptyalism aka hypersalivation. It usually accompanies nausea and morning sickness. This symptom will subside soon enough, so don’t invest in any adult bibs just yet. Over-the-Counter Medication – With all the new and often uncomfortable pregnancy symptoms, it’s unsurprising that 2/3 of all expecting mothers use some form of over-the-counter medication. There are some common medications that you can take while you’re pregnant, but it’s important to read the labels carefully. Here’s the scoop on antibiotics, as well. After all, you’re not only taking care of yourself, but you’re also acting as a safe haven for a tiny baby. 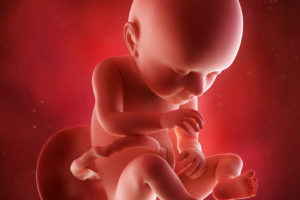 At week 7 of your pregnancy, you are considered to be one month and two weeks pregnant. Most mothers say that it goes by quickly. Knowing this, now is a great time to start a pregnancy journal so you can look back on your entire experience. Even if you can’t document your daily feelings, try jotting down some experiences that stick out to you. For instance, you can start by telling your journal how you feel about your upcoming prenatal appointment. Are you excited, nervous, anxious? In a few years, you might not be able to recall your exact emotions precisely. So, it will be comforting to be able to read your thoughts directly from your pregnancy journal. Along with the tiny little arm and leg buds protruding, your baby is also developing the cerebral hemispheres of the brain. Eyes and nostrils are growing, as well. 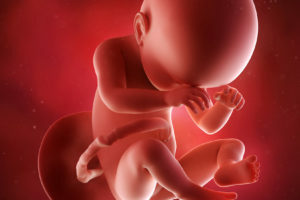 Although you baby’s intestines are maturing, they are heavily connected to the umbilical cord. Later, the intestines will descend into proper placement in your baby’s abdomen. As well as the intestines, the appendix is present and the insulin-producing organ, the pancreas, is also maturing. 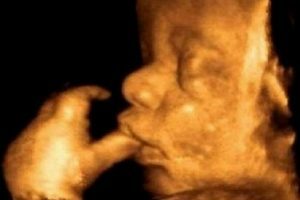 While still looking slightly tadpole-ish, your baby has a clearly defined heart bulging from the chest. 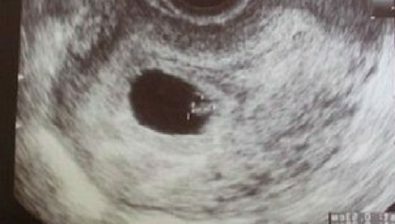 All of these wonderful developments won’t be visible on an ultrasound, but be confident that the little bean on the screen is growing by leaps and bounds! 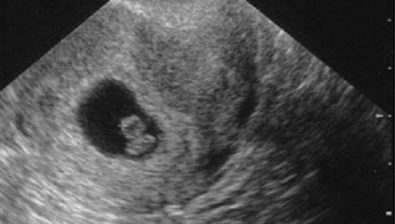 Although your uterus has doubled in size over the past several weeks, you might not be “showing” to the outside world yet. There’s a strong possibility that you feel bloated or that your belly looks slightly bloated because of recent weight gain and blood volume increase. So, your clothes might be fitting a little more snugly, but you’re definitely not ready to make that epic wardrobe change from regular clothes to maternity clothes just yet. As your belly, breasts, and thighs start to expand, they might feel itchy. Although lotions don’t entirely prevent stretch marks, they do help lessen the darkening, and they make you feel more comfortable, as well. Cramping – Even with the absence of your period, there’s a strong possibility that you’re not free and clear of the feeling of cramps. 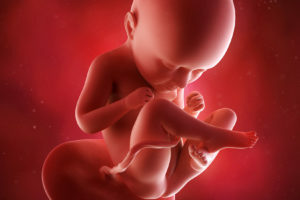 Although your baby is no bigger than a blueberry right now, your uterus is already expanding to allow room for your growing baby. The ligaments supporting your uterus will stretch as this happens and you might feel a mild sense of cramping. 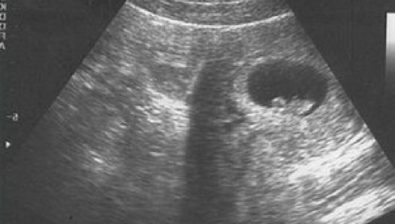 People often describe these pains as twinges in your belly. Weight Gain/Loss – At this point, you might have gained weight, or you might have even lost weight. Morning sickness often causes weight loss early on in the pregnancy, so while you shouldn’t be alarmed if you’re losing weight, it might be a good idea to ask your doctor about it. As your baby grows and your body changes to accommodate the growth, you will undoubtedly gain weight. For now, keep your belly settled the best you can and remember to drink lots of water. Food Cravings/Aversions – You might have noticed that you have begun to crave certain foods. Or, you absolutely can’t stand the sight and smell of other previously enjoyed foods. Due to hormones and unknown factors, more than half of pregnant women experience food cravings and aversions. And, they run the gamut. So, go with the flow. If morning sickness allows you, do try to monitor your nutritional intake so both you and your baby are well fed. Facial Complexion – Because of the extra estrogen your body is pumping out, your skin and hair follicles will produce more oils. This increase in oils will give you that “pregnancy glow” so many people talk about. It’s not uncommon for expecting mothers to deal with some form of acne. With the extra oils, your hair is likely to look and feel incredibly thick, luscious, and shiny. 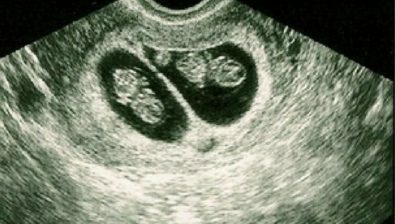 Because you’re carrying twins, your body might shout its appetite demands a little more loudly than if you were carrying a single baby. For the most part, it’s important to listen to your body. Just as you would if you were carrying one baby, remember to eat small meals and eat often. Having twins doesn’t mean that you’re eating for three. In fact, you only need 600 additional calories per day than an expecting mom carrying one baby. It’s not uncommon to experience heartburn no matter if you’re carrying one baby or multiples. 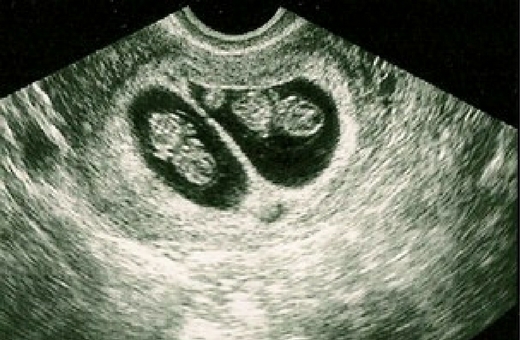 Having said that, a twin or multiple pregnancy does seem to be notorious for causing more heartburn. And, it happens much earlier in the pregnancy. To battle this uncomfortable feeling, sit straight up or take a short walk after eating. Doing this helps your food to digest and prevents that burning sensation in your esophagus. Prepare for your first prenatal appointment (gather list of medications, determine last period, compile a list of questions you want to ask, etc.). Clear your medicine cabinet of any medicines that are harmful during pregnancy. Download a pregnancy app for your phone. Buy a belly band to prolong the life of your pants.